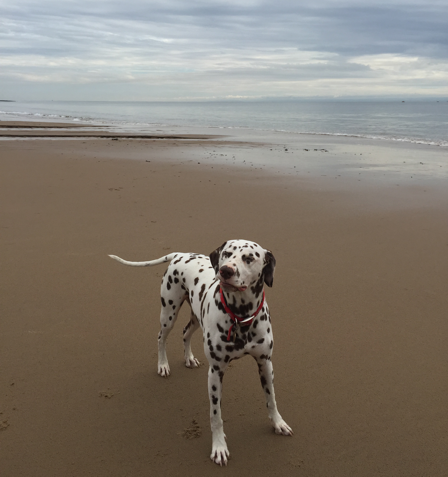 This was Jasper on the beach just lately. 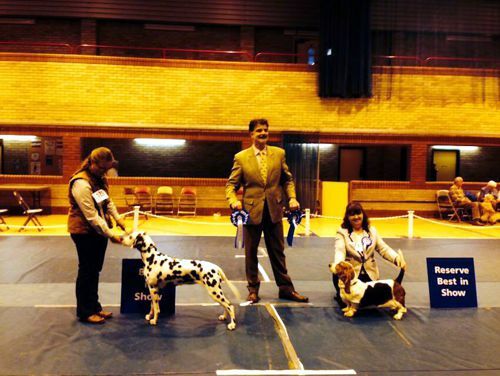 Molly did very well at Windsor, winning the CC and going BOB. 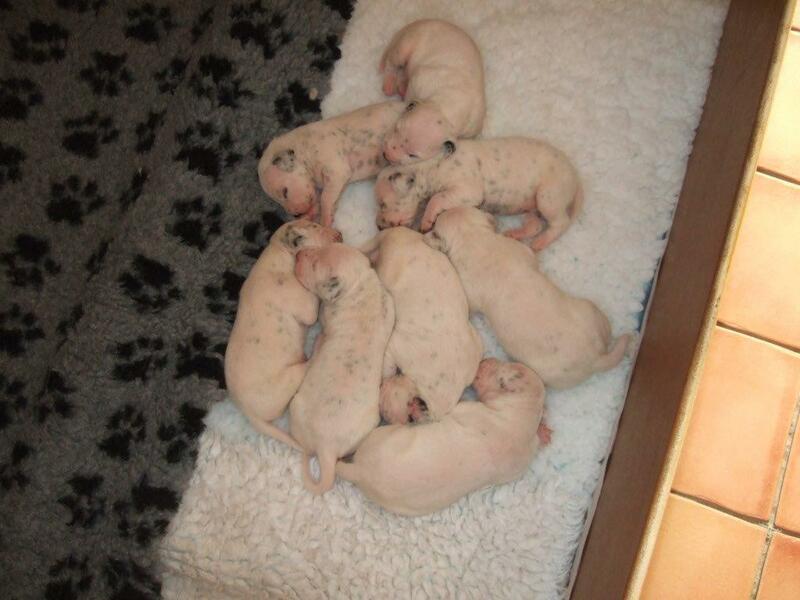 This picture shows Darcy and offspring at 16 days. 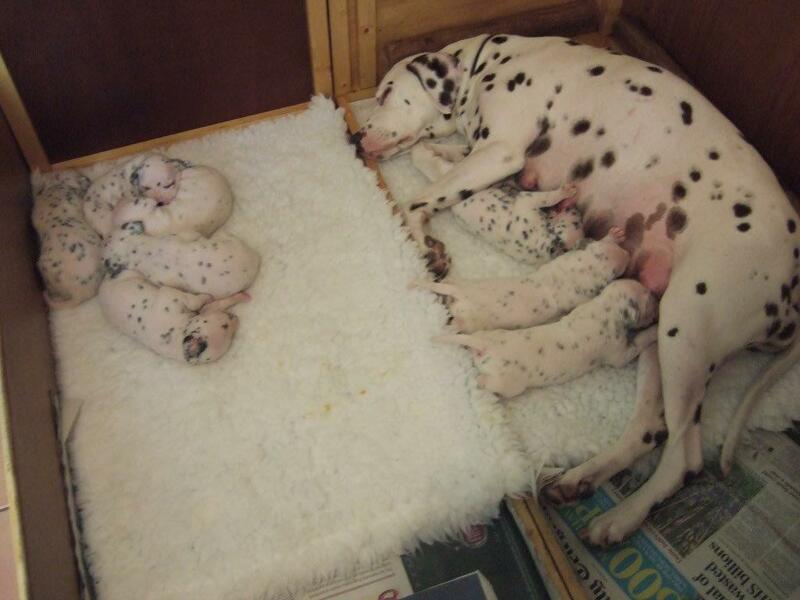 Just starting to see the spots on Darcy’s litter. 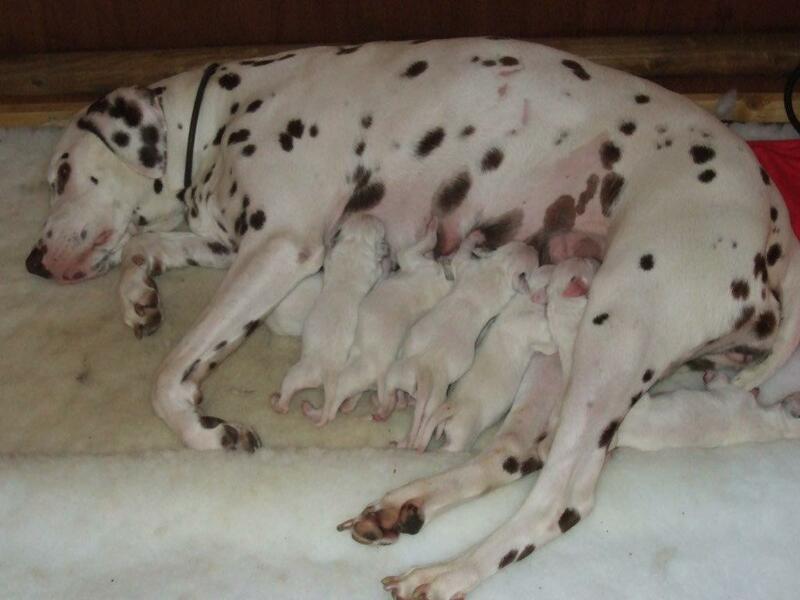 Xeno would now have great-grandchildren, as Darcy (Jim and Jo McManus’ Boschendal Lady in Red) has just had a litter of eight (two girls and six boys). 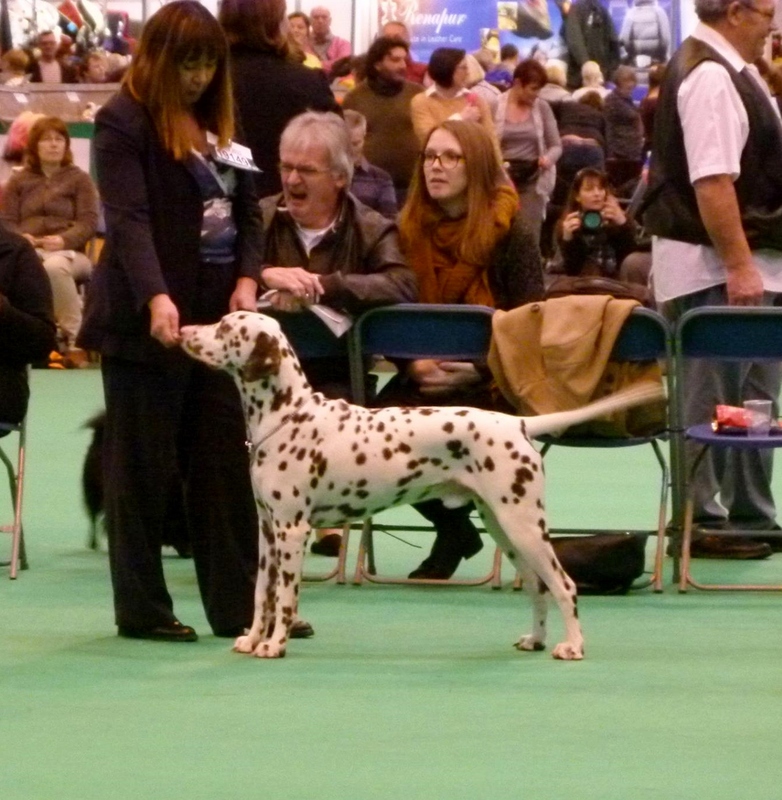 We were at Crufts on Sunday and enjoyed ourselves tremendously. There were so many visitors from the continent and one from the United States. So the Tolutim connection did well as George was Best Puppy in the breed and Alby was second to George. Wiggins was placed in Limit (4th) while Beren did not get placed in Midlimit. The Thorners came with Molly and Marcy. Marcy got a second in Limit while Molly did not get placed. 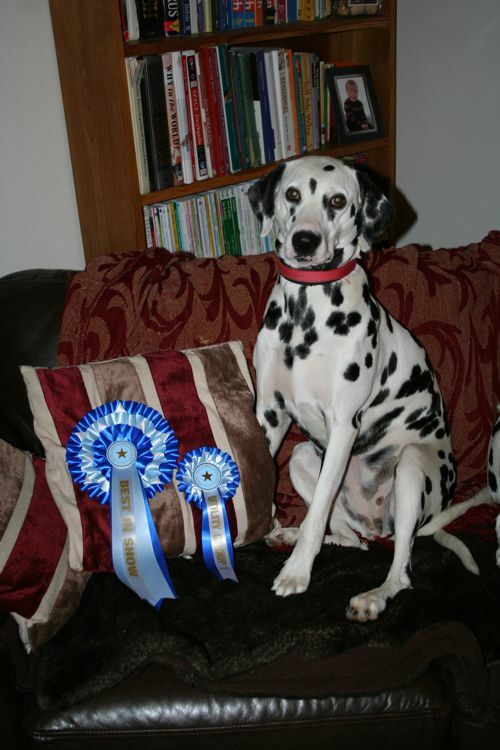 Zaffre was fifth in her Veteran class. 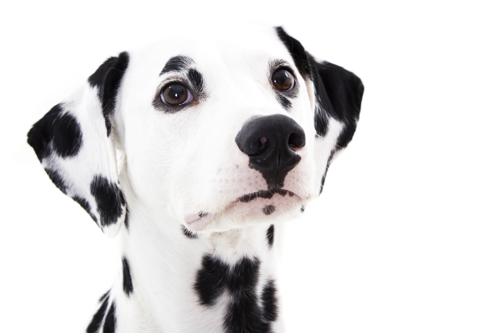 Crufts allows us to see a number of dogs which don’t ordinarily appear locally (especially those foreign dogs). 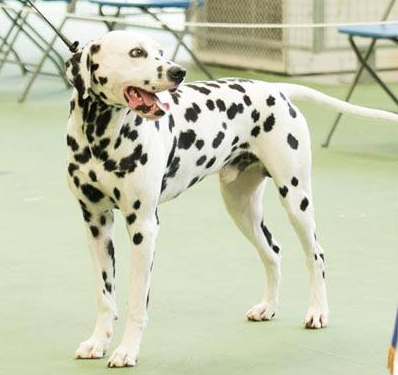 So it is interesting for breeders to visit, watch the many classes and dogs, and exhibit their own dogs, comparing them with the best shown during the year as well as the european dogs. 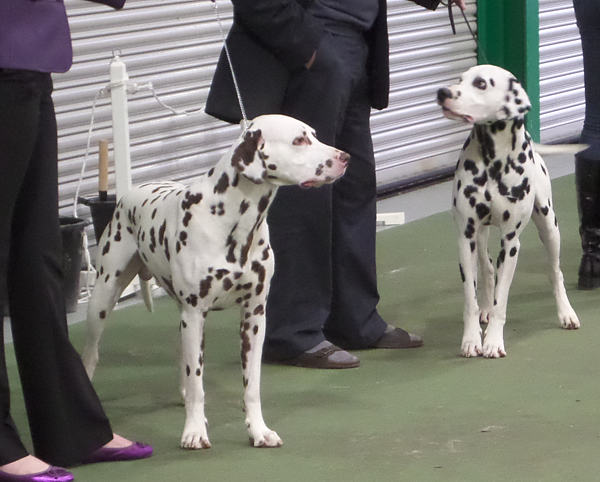 Wiggins and Beren were in the line up at the Joint Dalmatian Clubs’ Show. Wiggins did well with the Reserve Challenge Certificate. Often we get portraits, and here is one we wanted to share. Frank and family sent us seasons greetings, and we wish all of the Tolutim lurkers a happy holliday period. 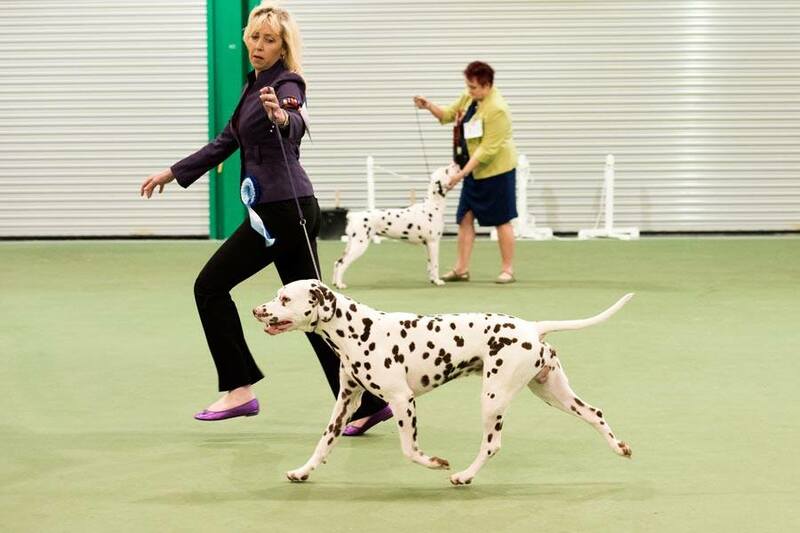 At an open show in Newport Marcy went Best In Show.